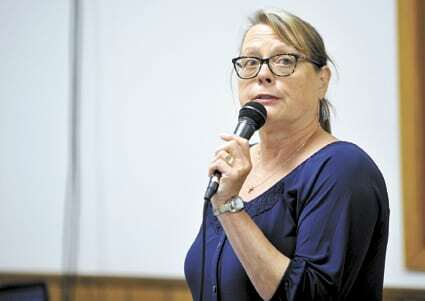 -Daily Freeman-Journal photo by Hans Madsen Joan Becker talks about her son, Mark Becker, during the Mental Health Awareness Day conference held at Trinity Lutheran Church in Webster City. Becker shot and killed Parkersburg coach Ed Thomas on June 24, 2009 during a psychotic episode. Becker suffered from Paranoid Schizophrenia. 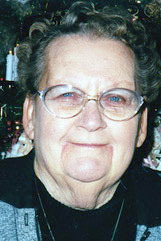 Friday was not a good anniversary for Joan Becker, of Parkersburg. Next month, on June 24, she and her family will experience another anniversary. That was the day her son, Mark Becker, shot and killed Aplington-Parkersburg football coach Ed Thomas in the school’s weight room. 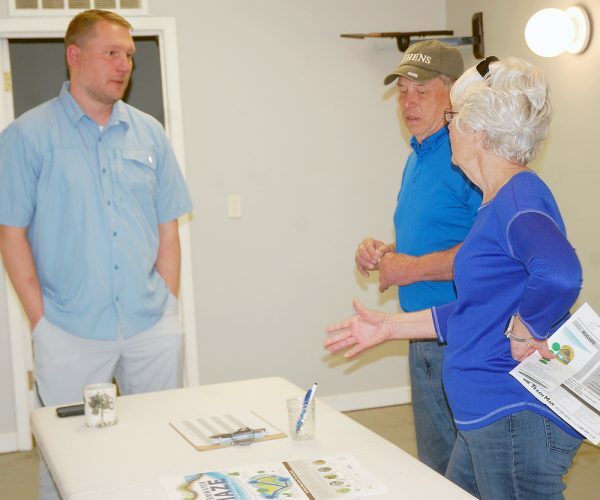 She spoke about that storm, and the lifetime of struggles trying to get her son help Friday morning at a Mental Health Awareness Day presentation hosted by Trinity Lutheran Church in Webster City. The event was sponsored by the Hamilton County Mental Health Learning Community. Early in her son’s life, there was little to indicate anything was wrong. He seemed a normal child. The family noticed something wrong when he turned 16. “That is when we started to see some serious changes in Mark.” she said. At that time, he was caught with a small amount of marijuana. As part of that incident, he had to see his coaches and go through a round of counseling. That was when the Beckers first encountered trouble with the mental health care system. “We weren’t allowed to go and be a part of that.” she said. In hindsight, she now understands why he turned to street drugs. She now looks back and sees other signs that were not noticed at the time. “He once told me, ‘ever since I remember existing I heard the voices and they frightened me.” she said. His student artwork, at an early age, showed signs too. He eventually was able to see an individual counselor. It helped. Following high school, college didn’t go well. His life after that became a succession of moves out of the family home, back into the family home and a string of jobs. He also began using street drugs more, both in quantity and frequency. She knew when he was using. One of the hallmarks of schizophrenia is that the patient often hears voices. To the person suffering with the illness, they are not only real, they are that person’s reality. This led to many odd conversations. Another conversation went like this. The episodes eventually led to her son being hospitalized. They realized they had to do something and made a call to law enforcement. They expected their son to be given a diagnosis and medication. Between September 2008 and June 2009, Becker kept track of the episodes. “He had eight psychotic episodes, the sheriff was called four times, he went through 15 counselors and he said ‘I’m better off dead,’ three times.” she said. He seemed to be getting better before the shooting. Than his life erupted in chaos. She said he went to a home nearby and tried to attack the resident with a baseball bat. He fled, which led to a high speed chase. He was committed to a mental health facility after that where he once again did not receive treatment. She said they didn’t medicate him. The family heard about the June 24, 2009, shooting from a phone call. “It appears Mark is involved.” she said she was told. Her son’s counselor called her and asked how she was doing. The Beckers were part of their son’s delusion that day. The Thomas family and the Becker family have a long history together. The couple met while attending a Bible class taught by Ed Thomas. The survivors reached out to the Beckers. Her son was finally given an official diagnosis, once he reached prison. “He was officially diagnosed in jail,” she said. He’s currently serving his sentence at the Iowa Medical and Classification Facility in Coralville. He’s on medication that controls his disease and he’s involved with the therapy dog training program. Becker, like many who’ve had to deal with the mental health care system on behalf of an ill relative or friend, sees it for what it is, broken.